The World Needs A Hero, but all its got is Breed. Leaving the Empire to face the wrath of an angry demon and its infernal hordes, Breed takes a ship and flees to Shen. With pockets full of gold, the hammer of the Hammer of the North, a crate of whiskey, and a conscience unburdened by guilt, life doesn’t get any better, does it? Well, yes, it does, but it gets a lot worse first. No matter how fast Breed runs, trouble is never far behind. Charged by an ancient power to find a way to stop Shallunsard the demon, Breed is thrust from one world into another. Hold on tight, for here be krakens, dragons, undead queens, and vengeful sorcerers. 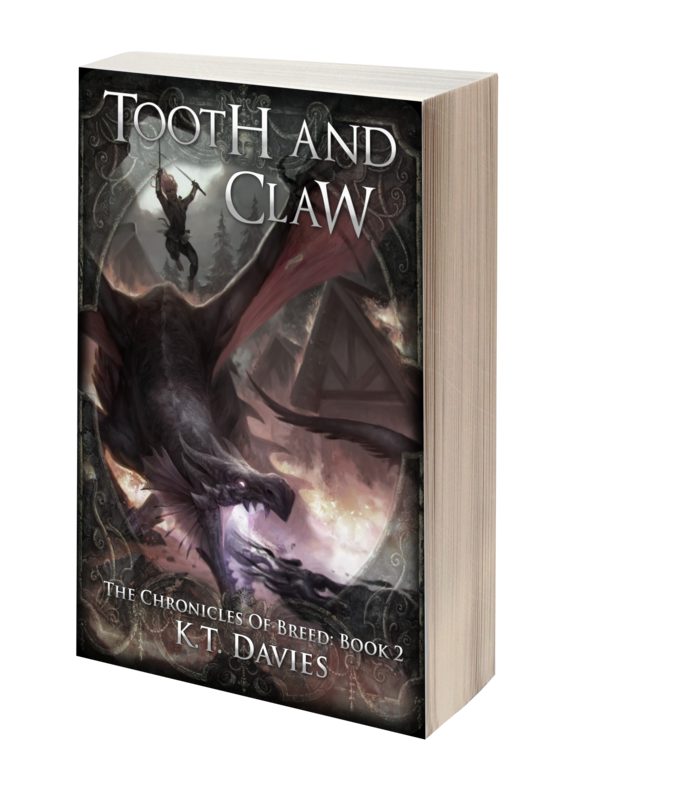 Grim and darkly funny, Tooth and Claw is the second book in The Chronicles of Breed.